Brad says his work is born out of passion and the desire to tell a story in a single look, to make an emotional connection with the painting and its audience. Instead of words, he uses an illustration in a “Pop Art” style to tell a story and give the viewer the freedom to relate to the painting at their own personal level. Brad abstains from forcing his ideas or thoughts on his audience, but rather, to allow them to connect. he also likes to use the titles in his paintings to connect to an emotion. For example, the painting of Bob Dylan is titled “Born Already Ruined” aka Saved. The legends paintings were born out of his love of music. 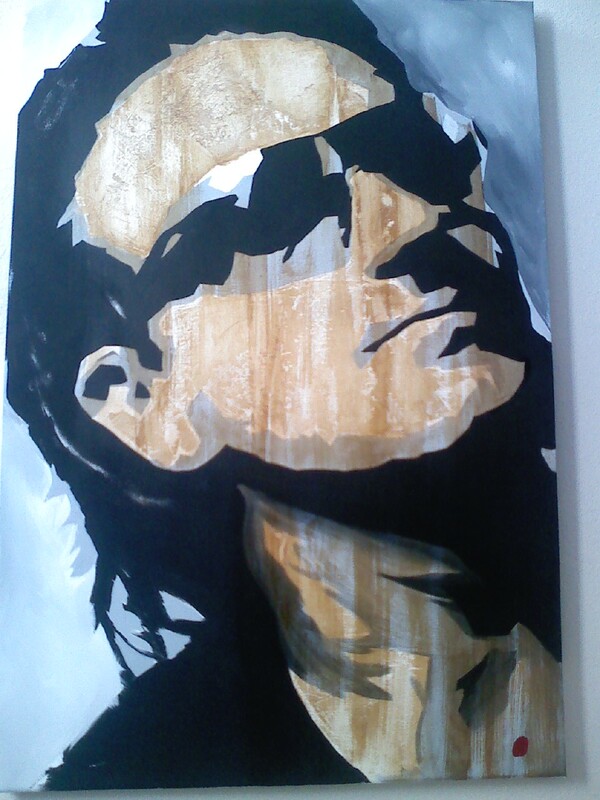 Brads first piece, a painting of Bono, was completed in the summer of 2009. "I was held up in my studio listening to U2. Hearing the passion in their music inspired me to create my own art. I am fascinated by the connection between art and music; one seems to influence the other. I thus began my journey of listening and letting the music of each artist inspire me in my own creative venture." Brad was born in Southern California, and is currently living in Fort Worth, Texas.